Help us raise $5,000 today for anti-pesticide ads. As you know, CAPE is working to ban lawn and garden pesticides across Canada. We've already won bans from Ontario eastward and are now working to win them in western Canada. Manitoba is expected to introduce a pesticide ban very shortly — which is great news! But industry is already working to weaken or kill the proposed pesticide ban. 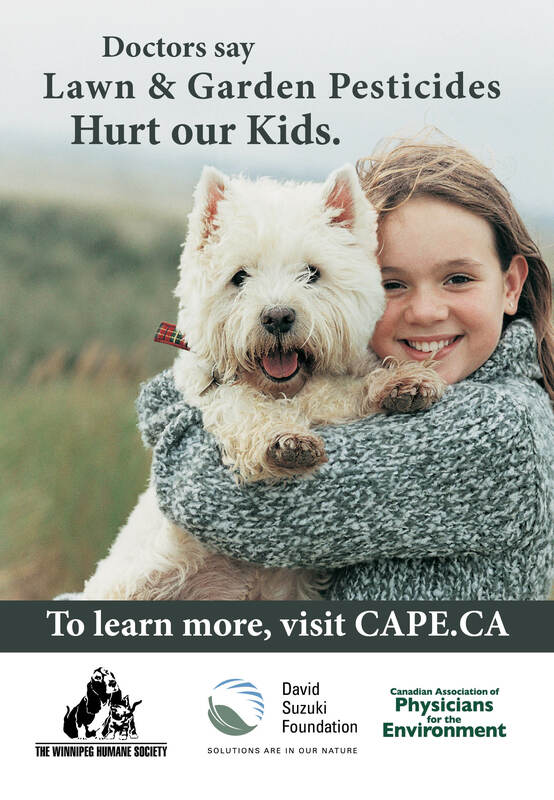 So CAPE is running ads like this one (at left) to alert the public to the dangers pesticides pose for our children. I hope you'll agree our anti-pesticide ads are very powerful. Unfortunately, they're also very expensive: We need to raise $5,000 to pay for these ads and win a pesticide ban that will protect over 1 million Canadians. Could you please make a contribution to CAPE of $50, $100, or $250 to help us win another pesticide ban? Your donation today will help us to reach our target of $5,000 for anti-pesticide ads and take a giant step in eradicating toxic pesticides. P.S. Please make a contribution right now of $50, $100, or $250. Your gift to CAPE will help us win another pesticide ban and protect over 1 million Canadians from toxic chemicals. Thank you. G.F.
via Our pesticide ban is under attack.